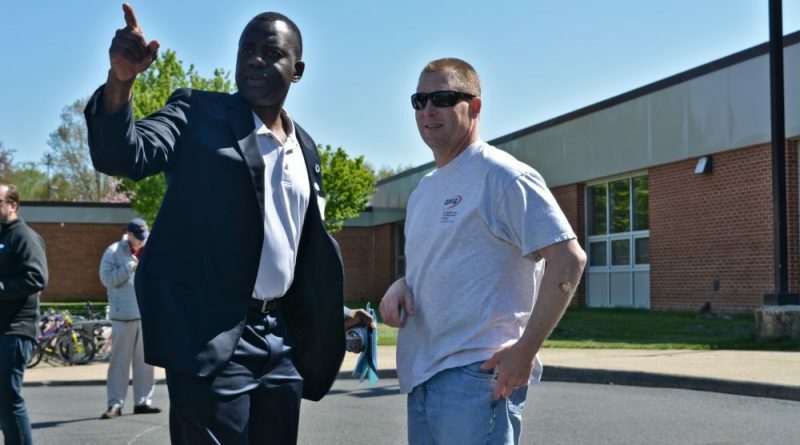 Purcellville voters today tapped Kwasi Fraser to serve a third two-year term as mayor. Fraser turned away a challenge from Chris Thompson, winning by a 13-point margin. Fraser got 924 votes to Thompson’s 717, according to unofficial results Tuesday evening. In the Town Council race, five-month incumbent Theodore F. Greenly was the top vote-getter, with 996. He’ll serve on the dais with newcomers Joel D. Grewe and M.F. “Tip” Stinnette. Grewe got 913 votes and Stinnette got 910. Steve H. Warfield was fourth with 785 votes. Disappointing that Purcellville is gaining a negative new reputation.